Click on ad to view a larger size. 33 "It's A Nice Place To Visit..."
In El Monotono, Mexico, David is captured by a bandito and his minions for being captivated by the bandito's girlfriend. 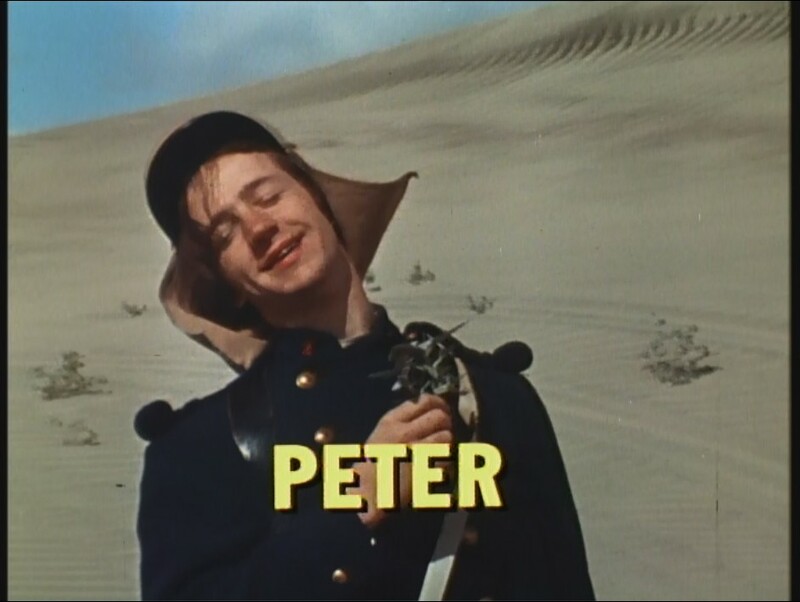 It's up to Peter to prove The Monkees innocence when they unwittingly rob a bank in the pretext of making a movie. It's a harem-scare 'em scene as David faces the prospect of marriage to a lovely Nehudian princess. Michael casts his wool hat into the ring to stop a crooked construction tycoon from turning the city into parking lots. At an art museum, Peter copies an old painting for 2 guards who are really thieves bent on snatching the real painting. 38 "I Was A 99-lb. Weakling"
To win a beautiful girl, Micky starts a health program under the guidance of a physical cultist�otherwise known as a fraud. 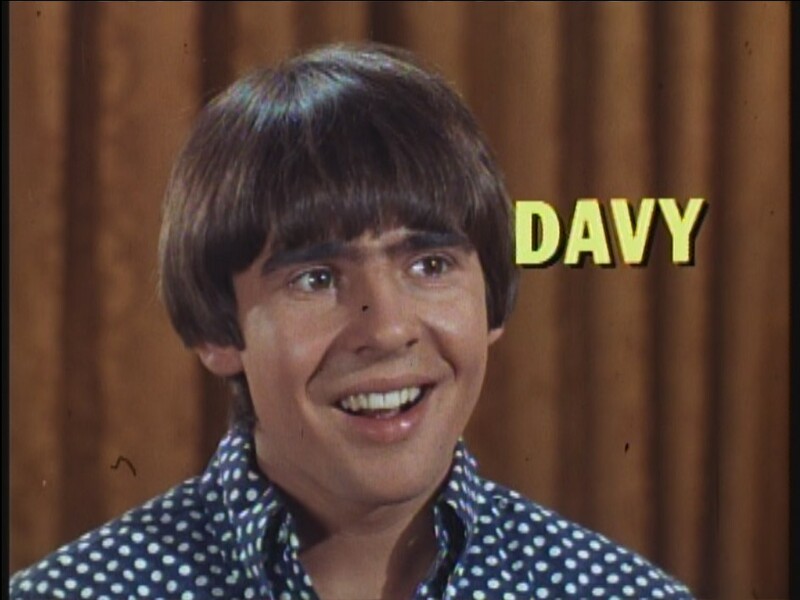 The Monkees are caught in a hillbilly feud in Swineville with David staring down the barrel of a shotgun wedding! On a desert island, The Monkees go hunting for treasure�and are hunted by a mad Australian and his man Thursday! Peter is the target of a romantic prima ballerina�and a dastardly plot choreographed by the rest of the ballet company. 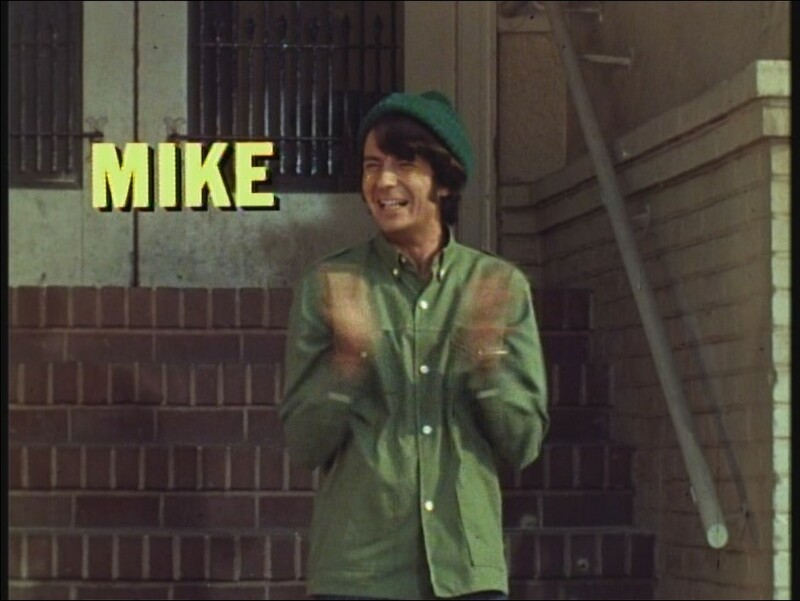 The Monkees turn chicken�figuratively and literally�when they unwittingly befriend the girlfriends of a tough motorcycle gang. A sinister scientist, his goony cousin and his kooky aunt use The Monkees pad for a s�ance to summon a relative from beyond. Thoughts of mutiny are bountiful as The Monkees founder the hijack of a cargo ship by their vengeful sea captain! In The Lone Star State, The Monkees outwit Black Bart and his gang to save Michael's Aunt Kate's ranch! The Monkees invade Las Vegas where, mistaken for crooked gamblers, they try their luck at exposing the real gang. The Monkees try to instill the spirit of Christmas in a cynical little boy who's soured on the whole idea. A Monkee romp through Fairy Tale Land sees Peter rescuing a haughty princess (Michael) from death by her fiendish fiancee. 49 "The Monkees Watch Their Feet" (a.k.a. A documented film report by The Dept. of UFO Information of The Monkees foiling an invasion from Planet Zlotnick is shown. The Monkees attempt to rescue David from Dracula, Wolfman, Mummyman, and Frankenstein's monster in a creepy castle. A broken-down magaician's magical monkey's paw starts to bring the equally broken Monkees luck�unfortunately all bad! At a sleazy pawn shop, Peter unwittingly sells his soul to a devilish character in order to purchase a golden harp. 53 "The Monkees Race Again"
David drives The Monkeemobile in an auto race when the British entry is sabotaged by The Baron and his Klutzmobile. 54 "The Monkees In Paris"
The Monkees take a vacation from the studio grind and are chased all over The French Capital by girls and gendarmes. David inherits an English manor but must first win a tournament with lances, swords, and vocal chords. 56 "Some Like It Lukewarm"
To enter and win a band contest, David poses as a girl and falls in love with Daphne, posing as a boy. 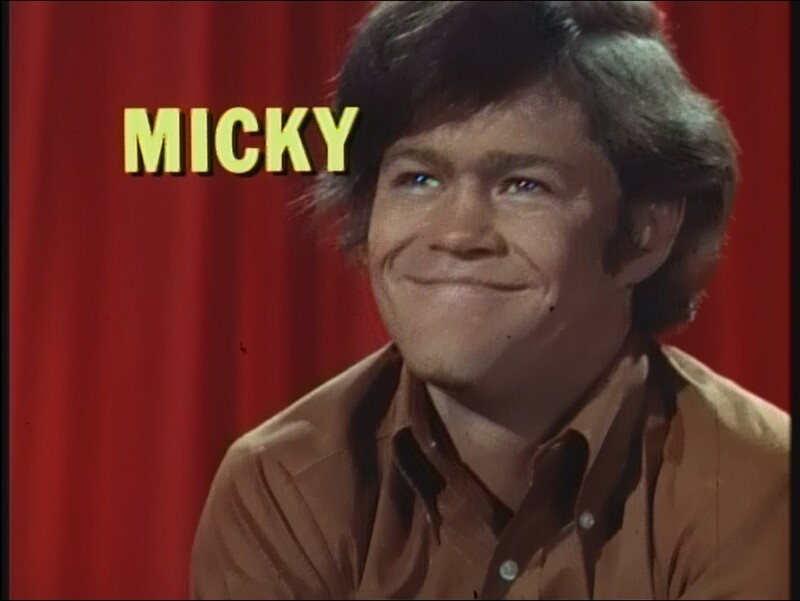 The Monkees swing to the rescue when a mentalist gains control of Peter's mind to use him in a nightclub act. 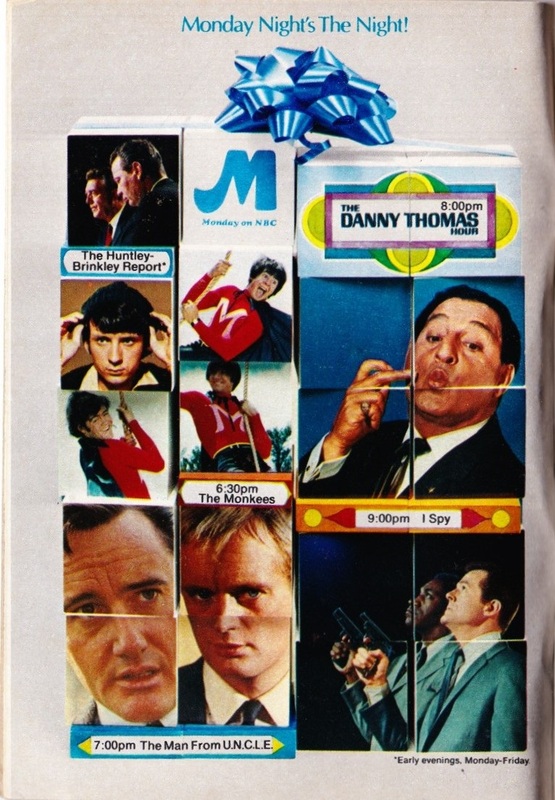 The Monkees battle a mad wizard who hypnotizes TV viewers with a test pattern planted with powers of an alien from outer space!